We offer a variety of delivery methods to your home or office. We also offer a free in store collection service.  If you choose the In-store collection service, your order can be delivered to any Dinny Hall store or concession in London. Orders will be delivered to your selected store within 3 working days after your order is placed. You will receive an email when your order is ready to collect. Please try to collect your order within 5 days. If you are unable to collect your order within 5 days of the collection date, please contact our Customer Services team on +44 (0) 207 704 1543. When collecting your order, you will need to provide proof of ID. Special Next Day Delivery, Saturday Guaranteed and London Same Day Orders need to be received by 1pm to enable same day dispatch, and is not available on Saturday and Sunday or Public bank holidays. Deliveries to Europe and Worldwide orders will be dispatched by Royal Mail International Signed For. Royal Mail states delivery within 5 to 7 Working days. For security purposes, all Dinny Hall deliveries require a signature. All mainland UK next-day deliveries are sent via Royal Mail and you will receive notification on the day of delivery. Deliveries to the Channel Islands are sent via Royal Mail. Please make sure your pieces are returned in a new and unused condition, with a security tag attached and in their original packaging in order for us to process an exchange or refund. Products purchased online can be returned in store for an exchange only. Full or partial monetary refunds can only be issued through dinnyhall.com. We cannot accept responsibilty for items that are defective or damaged, resulting from improper handling, lack of care, misuse, accidents or normal wear and tear. Pack the item(s) you wish to return in their original condition, with the original packaging provided and enclose a copy of your order. Items may only be returned in their original form. Please use the packaging inserts supplied to ensure products do not return to us tangled or damaged. Please note any items returned damaged, tangled or without the tag intact will not be refunded. We strongly advise you to obtain proof of postage receipt as we cannot be held responsible for any returned items until they reach us. We cannot accept responsibility for parcels lost in transit. Upon receipt of your return, your credit, debit card or PayPal account originally used for the purchase will be credited with the cost of the goods minus the initial delivery charges (exceptions may apply). We will process your return within 5 days. Your credit card company may take further 3-5 working days to credit your account. As an online business our prices change in response to trends, stock and demand from customers. In this case we will not refund the difference. Please contact customercare@dinnyhall.co.uk to arrange your return/exchange.